Yes, another craft book. I’m trying to not buy everyone that I see. 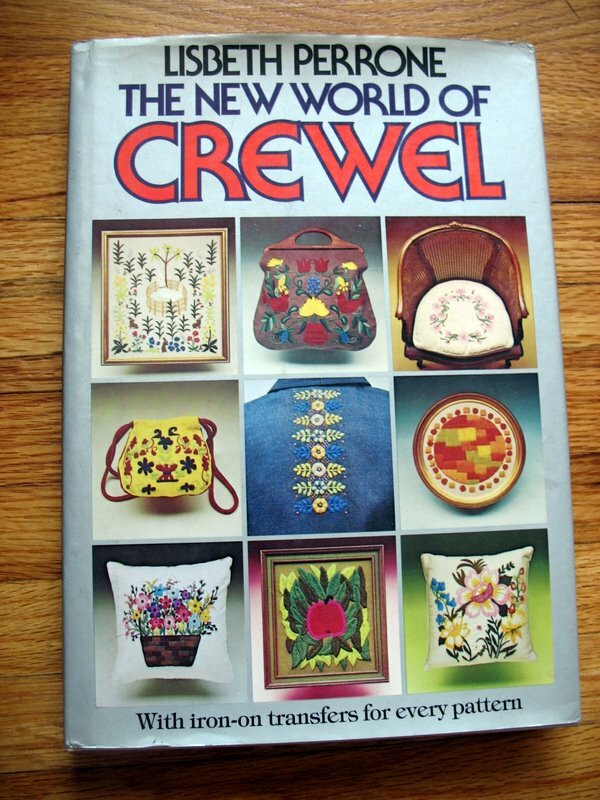 This crewel book is amazing. I found it at Goodwill for a couple of bucks. Some of the patterns are a bit dated, but I think they could be easily updated. Some patterns have come back into fashion. The coolest thing about this book is written at the bottom of the cover. It has iron-on transfers for every pattern. The transfers were in the back of the book and had never been opened. Talk about a total score. There are 42 different patterns and a complete alphabet to choose from. This will keep me busy for years!